I have been very pleased with the previous version of this pattern that I made. 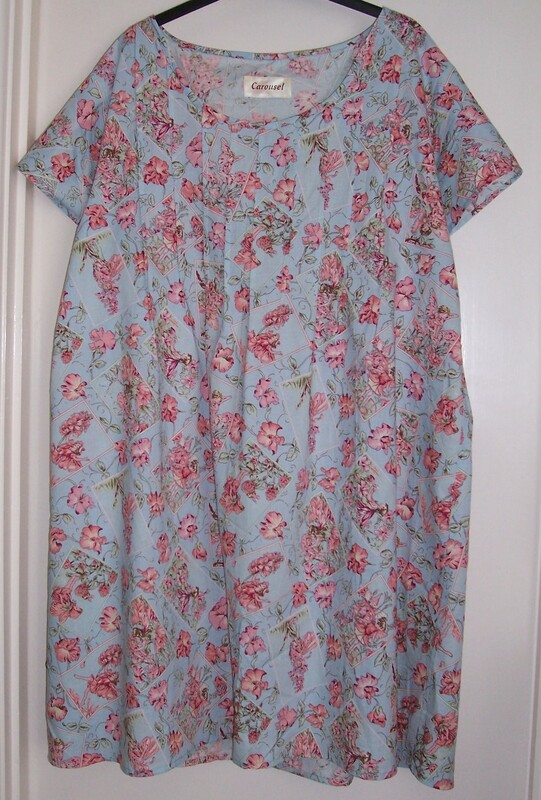 Having found a charming Flower Fairies print © Estate of Cicely Mary Baker on a Duck Egg Blue background somewhere fairly near the top of my fabric stash, I thought that the print would be ideal for a nightdress. Titania is queen of the fairies and in Shakespeare’s “Midsummer Nights Dream” spends some time asleep I thought it an appropriate name for this garment. 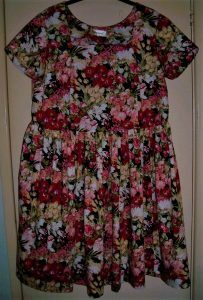 I had 2 ¼ yards of fabric that was 56 inches wide and that was plenty to be able to extend the tunic to nightdress length. I made view B, the one with 9 tucks across the front but with the short sleeves from View D. This time I cut a straight XL (20-22) with no extra at the side seams. 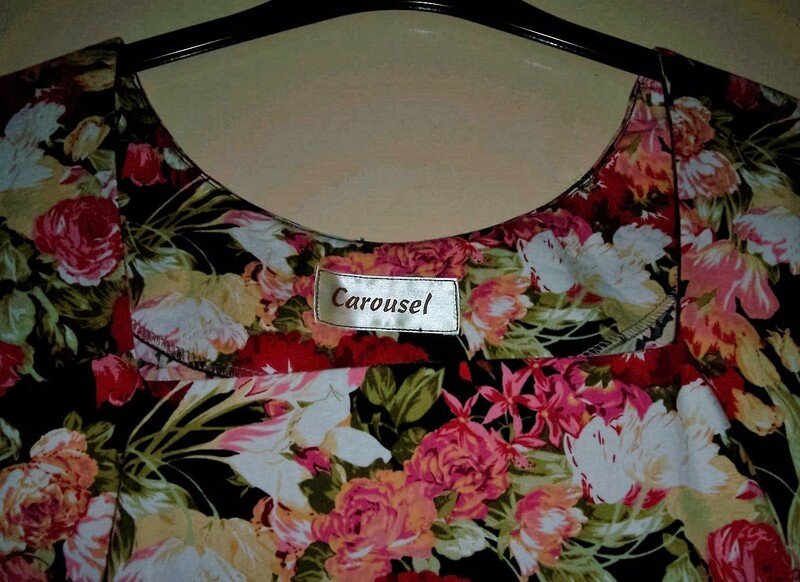 The print is multi-directional so when placing the pattern pieces I laid the front at one end of the length of fabric with the hem pointing towards the middle and the back at the other end of the fabric, again with the hem pointing towards the middle. 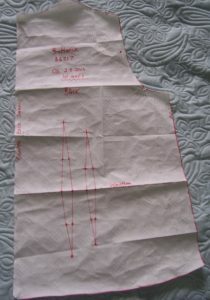 I measured the distance between the two pieces which was 16”, and therefore lengthened each piece by 8”. 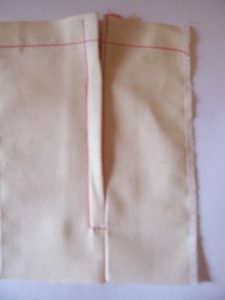 To avoid an unnecessary seam at centre back, the pattern piece was placed on the fold having first removed the seam allowance. 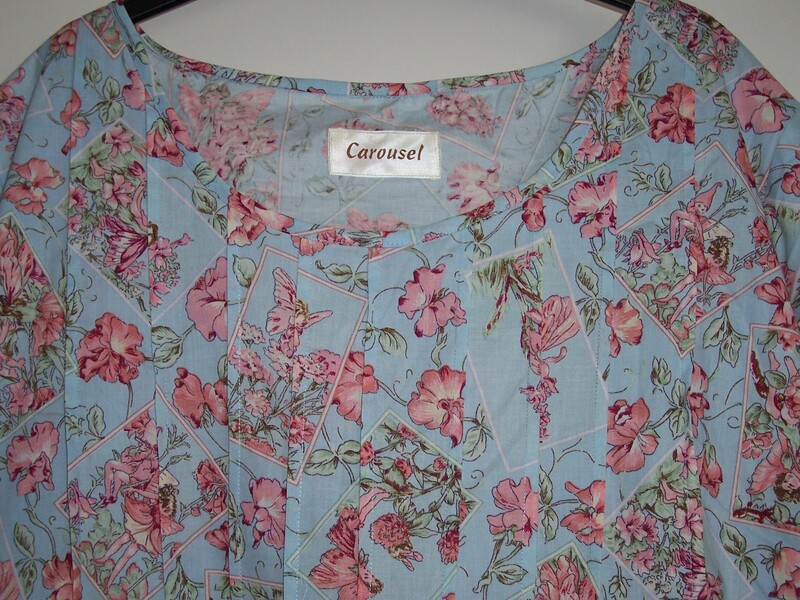 The short sleeve was placed on the cross grain in the spare fabric. The bias binding for the neck was cut in 2 pieces and joined together at centre front and centre back. This was a very straightforward sew. 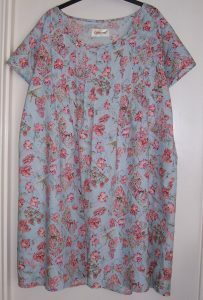 The shoulder, sleeve and side seams are flat fell so there are no raw edges inside the nightdress. 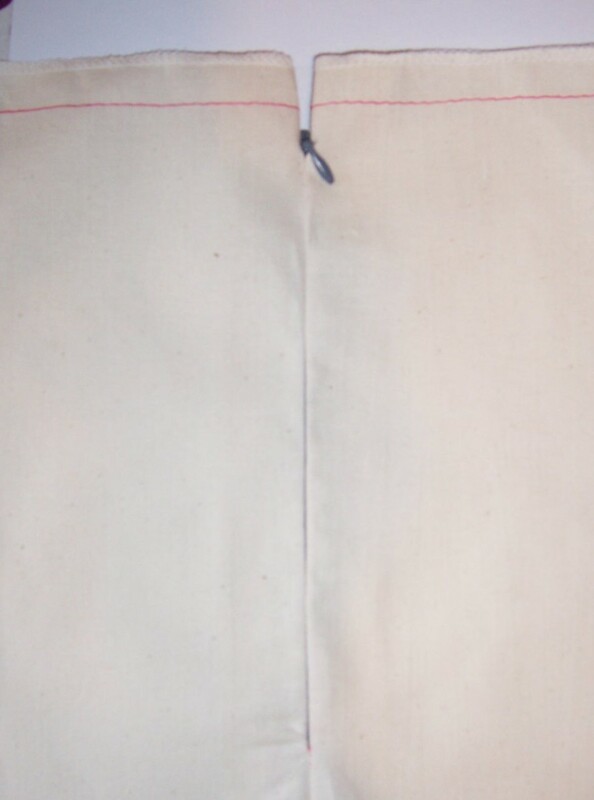 The sleeves were inserted and overlocked. 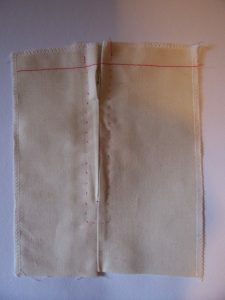 The hem is a narrow double fold and top stitched. I remembered to change the order for the bias binding on the neckline. 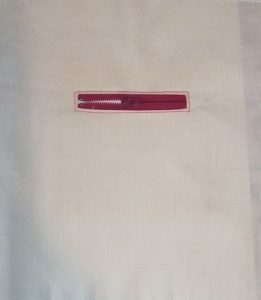 This time I stitched to the INSIDE before trimming the seam allowances and then bringing the binding to the OUTSIDE before top-stitching. There is still plenty of room in the garment so next time I may cut one size smaller. The sleeves could also do with being narrower at the hem but that is a small detail that I shall attend to next time. Isn’t it typical? A really warm day and I spent it indoors at New Threads tutoring a workshop on Zips. Not only was it warm outside, but for some of the time we had the steam iron switched on – just to add to the heat! But it was worth it to be able to spend time with two delightful ladies eager to learn about zips and improve their confidence and skill when using one of the many ways to insert them. Debbi and Sue were both very able students and we rattled through the variety of zips and different methods of insertion. 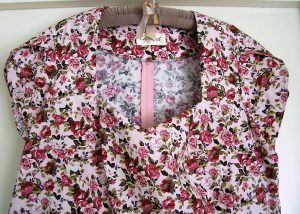 We dealt with standard zips, decorative trim zips and invisible zips for dressmaking and bag-making. The sample zips were inserted as standard central closures, lapped and/or hand picked, exposed with decorative trim, letterbox with and without a pocket and of course the “dreaded” invisible zip! As a bonus at the end of the workshop I was also able to show Debbi how to apply a zip pull to a continuous zip so that she will now be able to buy lengths of zips for her bag-making which is much more cost effective. Sue has promised to re-visit all the samples prior to filing in her workbook for future reference. I hope that each lady will have the opportunity to practice and refine the different methods of insertion for zips so that they will “zip” onwards and upwards in their stitch craft. 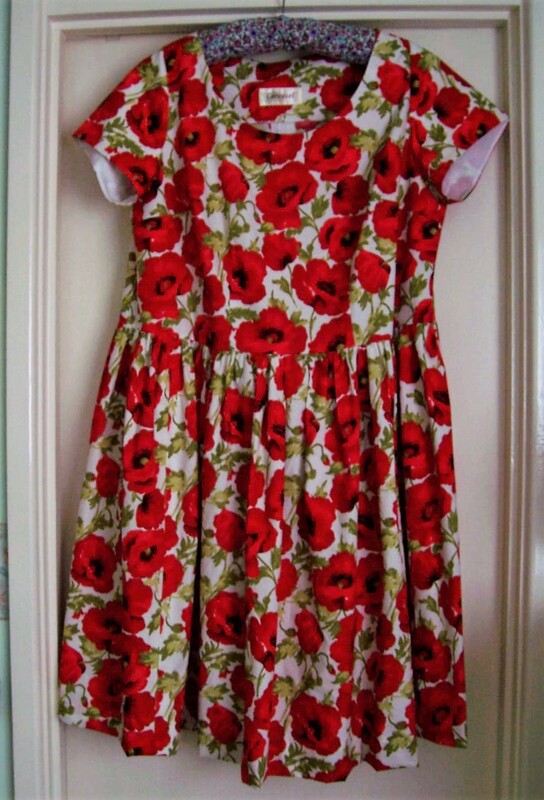 There is not much to say about this dress as it was back to the TNT Bettina dress pattern to make up the bold Poppy printed cotton fabric bought from Franklins’ in Salisbury. 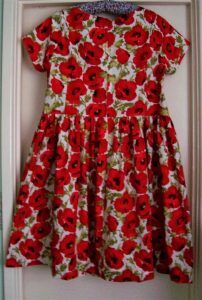 This time the short cap sleeves are lined with plain White poly-cotton as I did not want any “showthru” of the bold Red colour of the Poppy print. 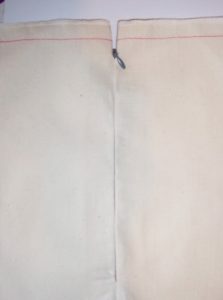 Once again the lapped zip in the centre back seam is hand picked. 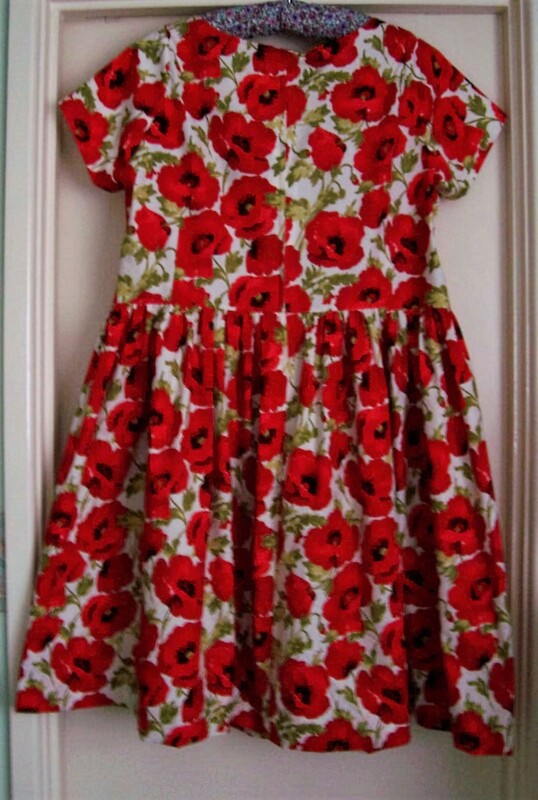 As I could see there was a definite one-way to the design I had to forego a circular skirt. 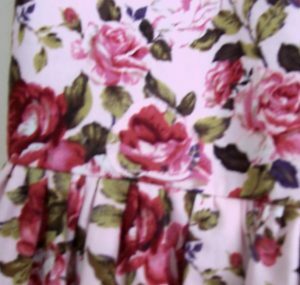 Therefore the full, gathered skirt is made from 3 panels across the width of the fabric but there is no pattern matching. As the blind-hemming on my machine is not perfect and I did not want any large stitches showing, the hem is a hand stitched double fold. The folded edge of the hem is NOT pressed flat and the double fold is good for the fullness of the skirt as it adds weight and substance. I really wanted to progress with this style of dress and have therefore reverted to my TNT bodice which has good bust and body dart shaping. 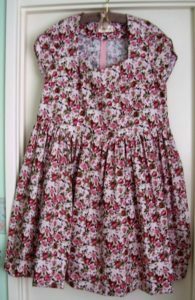 Having drawn a new neckline which did away with the “sweetheart” dip at the centre front and extended the width of the shoulders into the centre front, I cut out yet another Mary Rose dress. 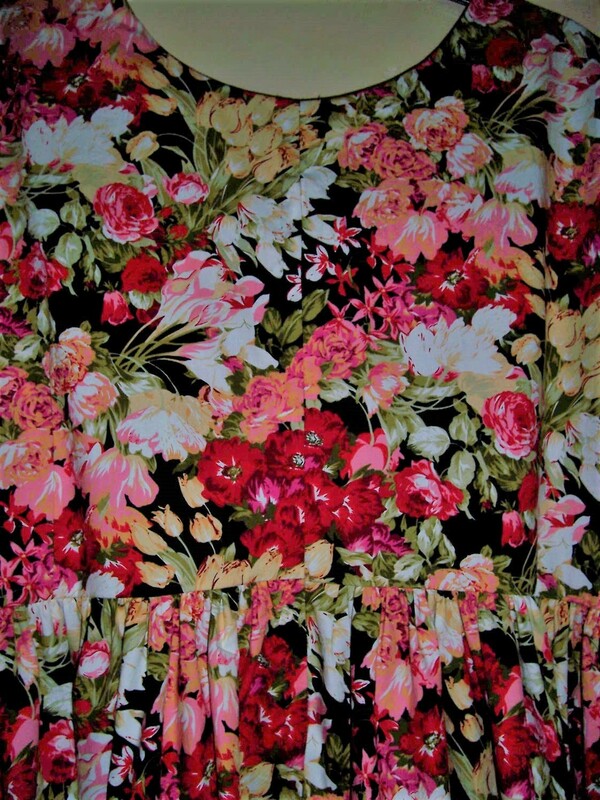 This time I used 4 metres of a bold floral printed cotton purchased from Franklins in Salisbury “Sale” shelf. I had already overlocked the cut ends and laundered the fabric so was good to go! 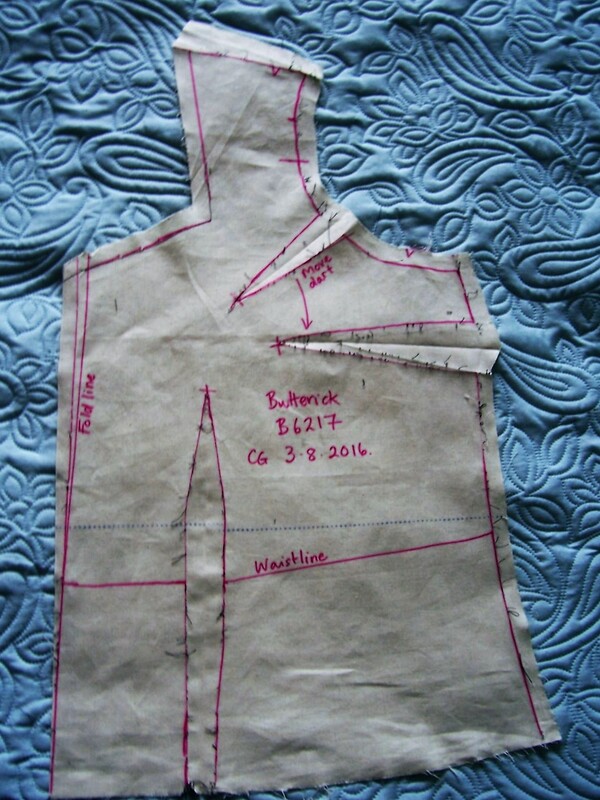 I learned from the previous incarnation to ensure that I made the seam allowance at the centre back bodice a good 1 inch wide to facilitate the lapped zip insertion. Although it was more by luck than design, I have managed to pattern match at centre back and across the 3 panels of the gathered skirt. Lapped zip, hand picked and pattern matched. 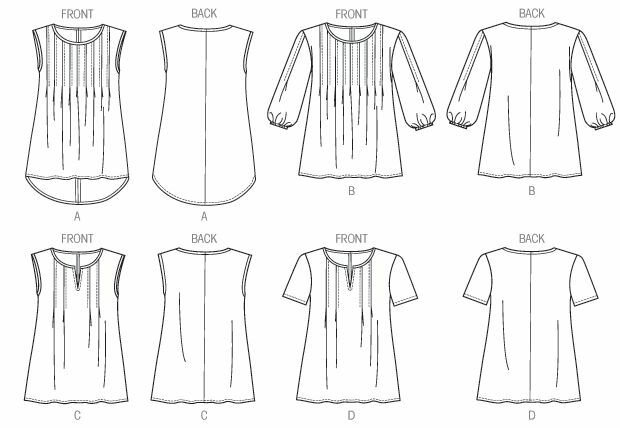 I had taken time to print out an “Order of Construction” and this helped considerably to ensure that I was not doing battle with acres of skirt as I tried to apply the neckline facing and insert the sleeves! 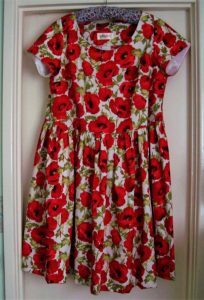 The former was completed as soon as the shoulder seams had been stitched and the latter once the first fit and side seams were sewn. The sleeves are my TNT short sleeves that are self-lined and with some “fudging” I managed to insert without tucks, gathers and pleats. 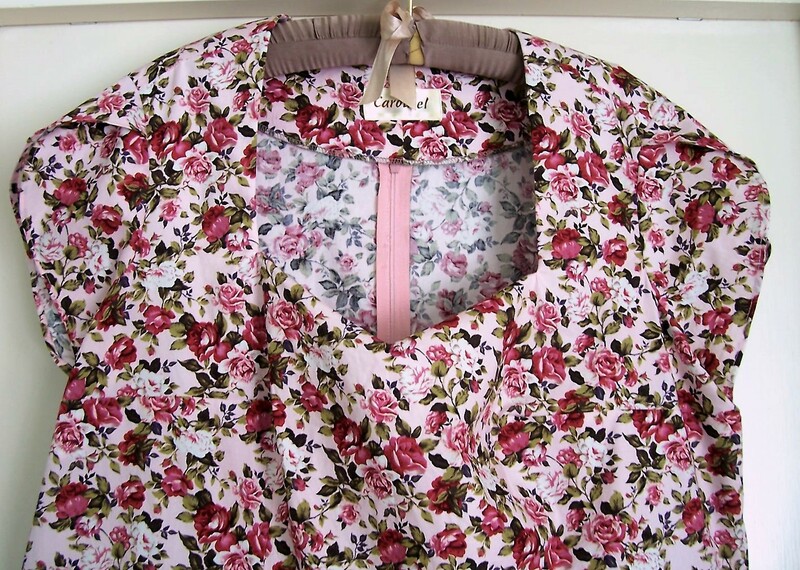 This time the lapped zip was a dream to sew and it is lapped in the correct direction. Again I hand-picked the final line of stitching and am very pleased with the completed insertion. 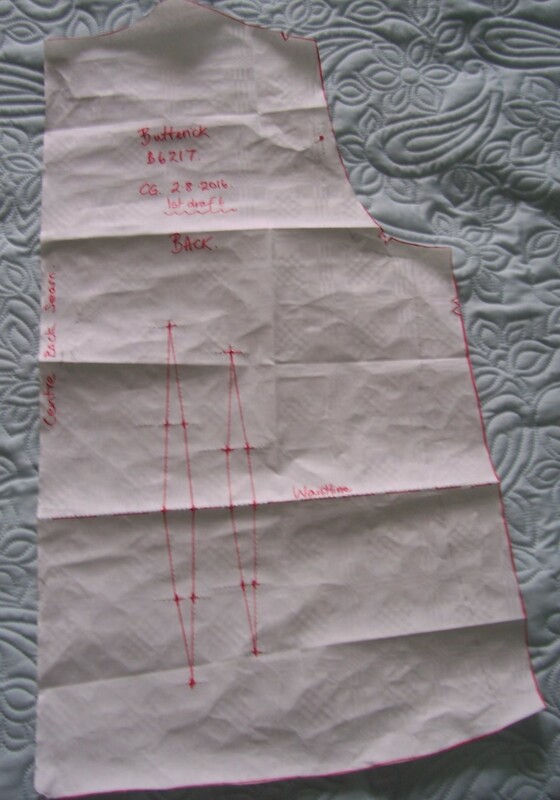 Due to the width of the skirt and the fact that the pattern is very busy on a dark background, this time I used the blind hemming stitch on the machine to complete the double folded hem. It is not perfect but good enough! The dress is not really this wide! Note the pattern match across the width of the skirt. 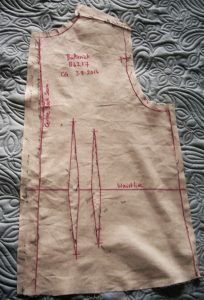 In hindsight, I prefer the straightened line of the bodice and have already adjusted the width of the shoulders as in this iteration they are a little too wide. 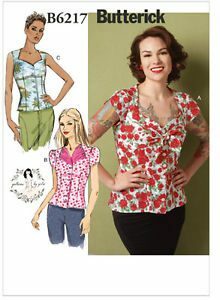 This has meant re-drafting the neckline to bring it in a little at centre front and also re-drafting the armsyce – now I am ready for Mary Rose mark III for which I plan to use fabric from my stash – a cotton print with teapots! It all started so very well! 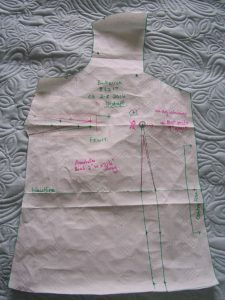 I had made and “refined” a toile of the bodice so was confident that this would be a good example of my sewing skills. Firstly, in my enthusiasm, I forgot to double-check the fit of the bodice BEFORE progressing with the insertion of the zip. Had I done so, it would have been easier to make the small adjustment to the bust darts that I later discovered was required. 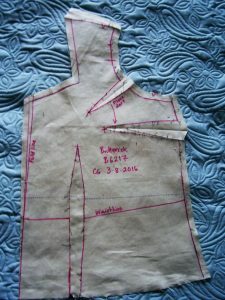 So – I gaily inserted the zip only to I find that I had not left enough seam allowance for my favoured “lapped zip” method. I stitched and unpicked the zip at least twice before I was satisfied. Then to add insult to injury, I noticed later that I had made the “lap” on the wrong side of the zip. I progressed with the gathering of the 3 panels of skirt which was fairly straightforward, only to have a “mishap” when overlocking the seam. I caught part of the bodice front in the seam and managed to CUT a small hole in the bodice, close to the waistline seam. There followed a stressful half hour whilst I made a patch to cover the hole. 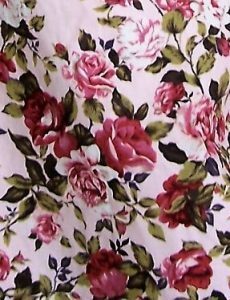 Fortunately, the print of roses is so busy and the patch close to the seam, that I do not believe it is immediately apparent to the casual observer! 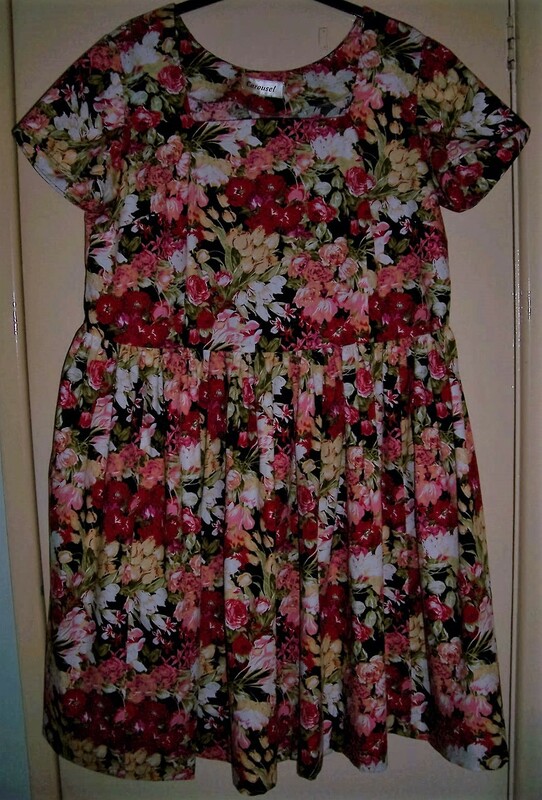 Having attached the skirt in such a hurry, this meant that I had to “manhandle” a deal of fabric when I went back to finish the bodice, to insert the tulip cap sleeves and attach the neckline facing. On the original toile the sleeves were easy enough to insert but again on the actual dress it was not so. 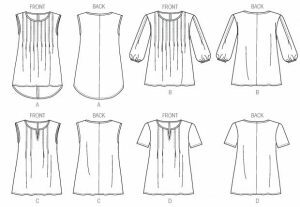 It took several attempts to get the sleeves inserted WITHOUT tucks and puckers and in the final analysis I am not sure that I like them. Next time I will draft a longer sleeve to (maybe) convert to tulip petal style. When understitching the neckline facing I found that the centre front clip went beyond the staystitching so there was a tiny gap and raw edge of fabric. Back to unpicking and re-stitching that part of the neckline! 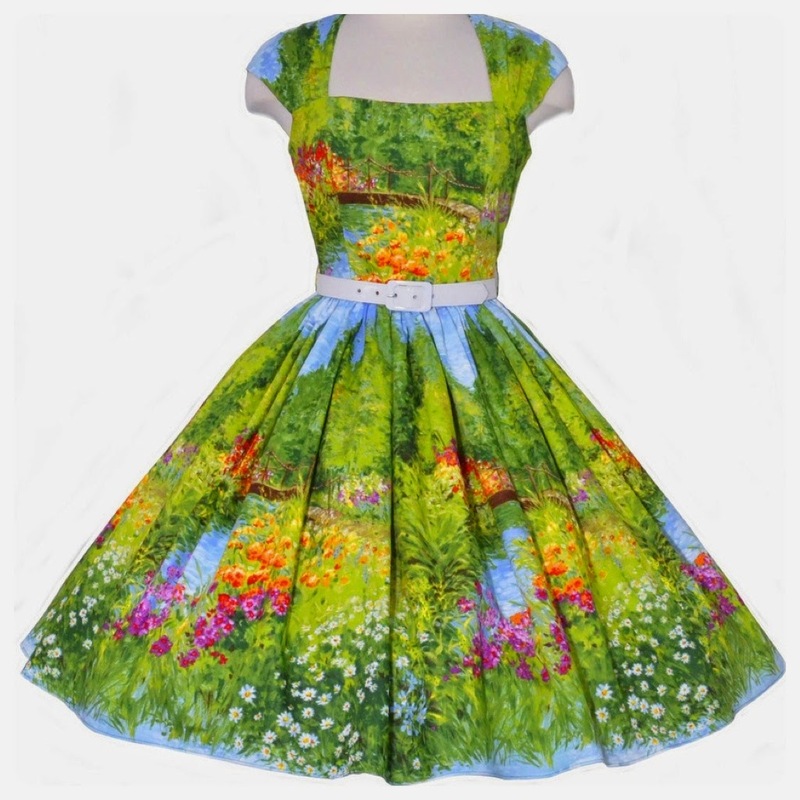 The hem is a double fold of fabric to add weight and substance to the full skirt. This had to be stitched by hand, all 135 inches of it – not my favourite activity! Finally, I have worn the dress which when standing looks very good but unfortunately the fit of the bust darts is not quite right and is apparent when seated, so will need some “finessing” on the next iteration of “Mary Rose”. But, my husband likes the dress and it is very comfortable to wear! Although our figures are not at all similar, I particularly like the style of dresses that Sian Singleton of Kittenish Behaviour has been showing on her vlog/blogs and believe that they also suit my rubenesque silhouette! Inspired by her makes using a Vogue pattern I decided that I would like to make a dress with a similar neckline. 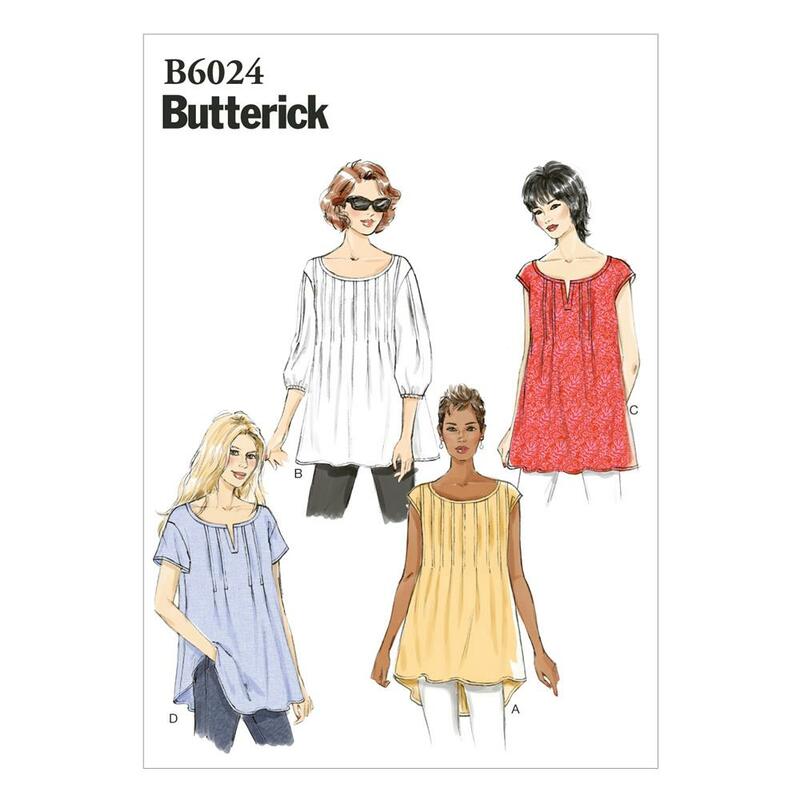 I particularly like the width of the shoulders as I have found that with some of my recent dresses, there can sometimes be an issue with bra straps showing.Although Sian’s bodice in this iteration has a straight neckline, I found Butterick B6217 blouse by Gertie in my stash and felt that it was sufficiently similar to use that. 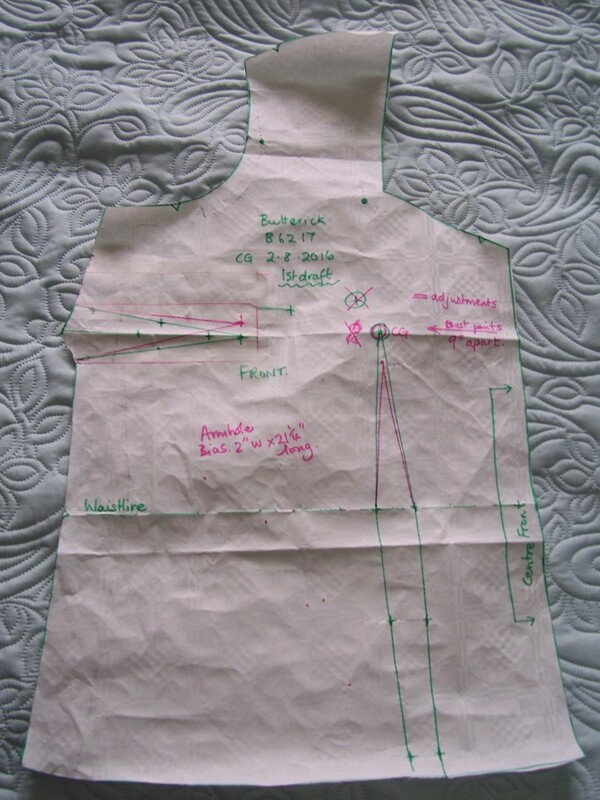 Bodice Front & Back Calico toile after fitting – note the need for a full bust adjustment! 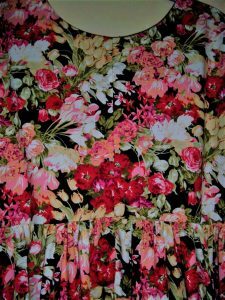 Checking out my stash of fabric I came across a pretty Pink roses print that was originally purchased from Fabricland several years ago. 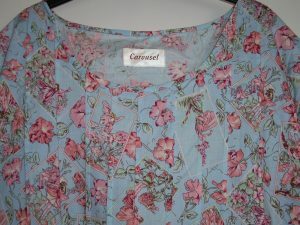 I had previously used some to make a blouse so knew that the fabric was a good weight for a dress and easy to stitch. There were at least 4 metres so there would be plenty for a new dress and it would also be 1 less length of fabric in my stash. I spent a while deliberating on whether or not the print of my Roses fabric was a one-way design. It was certainly directional so would not be appropriate for the full circular skirt that I used on Bettina dresses 1,2 & 3. I decided to make the full gathered skirt by taking 3 panels across the full width of the fabric. See the next post for the full story of Mishap Mary Rose!